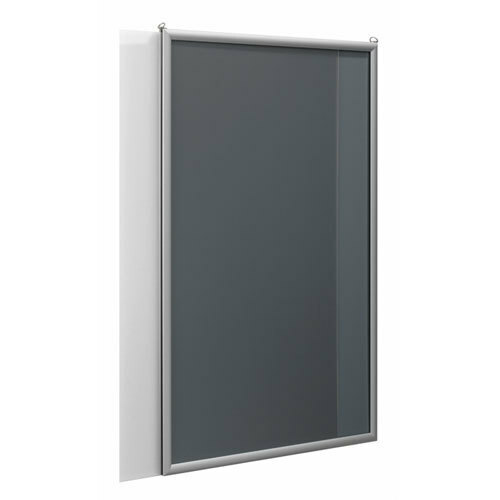 The doublesided slotted frame "Classic" is optimal for a loose hanging presentation of your advertising, e.g. a shop-window. 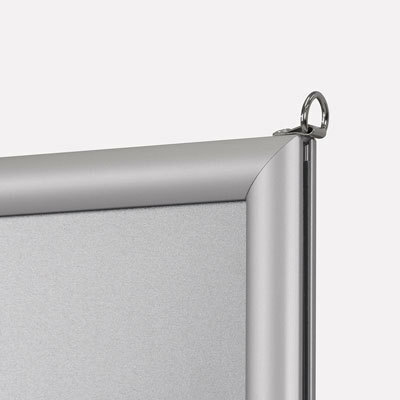 The frame is made of a 20mm softline profile which is silver anodized. Your poster will be moved into the slot on the side. Both motives will be separated with a panel between them an be protected with a nonreflecting APET sheet.